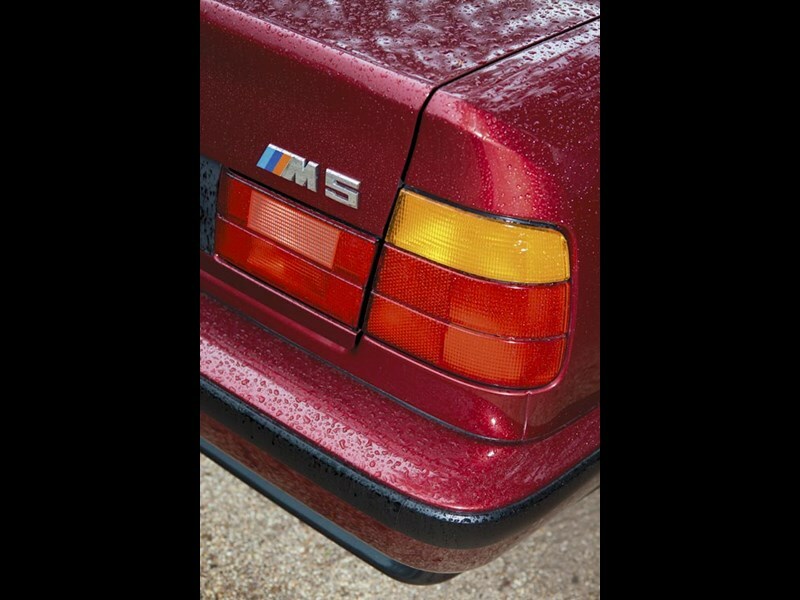 Classy, fast and known for incredibly refined roadholding, the M5 was a standout from one of the world's great marques. BMW’s vaunted M-Division has not stood still since the E34 5-Series became the M5 back in the very early ’90s. Since then, we’ve had V8 cars with six-speed manuals, V10s with clutchless manuals and, most recently, a twin-turbo V8. 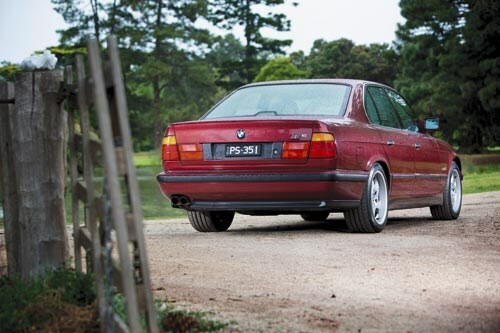 But for the true believers out there, none of them get close to the E34 M5 for purity. And who are we to argue? Frankly, the 3.5-litre inline six in the M5 is the sort of soul-stirring engine that made BMW the company it is today. Teamed to a five-speed manual, it was – and is – a glorious driveline with a great soundtrack and enough oomph to still show the odd hot hatch the door. The car itself was hand-made, a process which took about two weeks to complete with a small team tackling each example in turn. And balance, as opposed to brute force, was the secret to it all; an ingredient that was seen to be lost on later M5s. In fact, proof of the concept’s pedigree can be seen in the news that the next M3 will revert to an inline six rather than the vogueish V8 the last version used. And you can, in large part, thank the E34 M5 for that. I – and I was far from alone – had a major thing for the E34 M5 when it was new. It truly was a supercar, yet one that could carry five over a long distance and look and feel cool doing it. Some things haven’t changed. That would be the cool looks and the five-seat thing, because 2013 reveals the M5 to be swift but not actually deadly fast. But it is still lovely with supple suspension that aims at a sweet ride but control that allows it to hunker down and sniff its way through a corner, too. 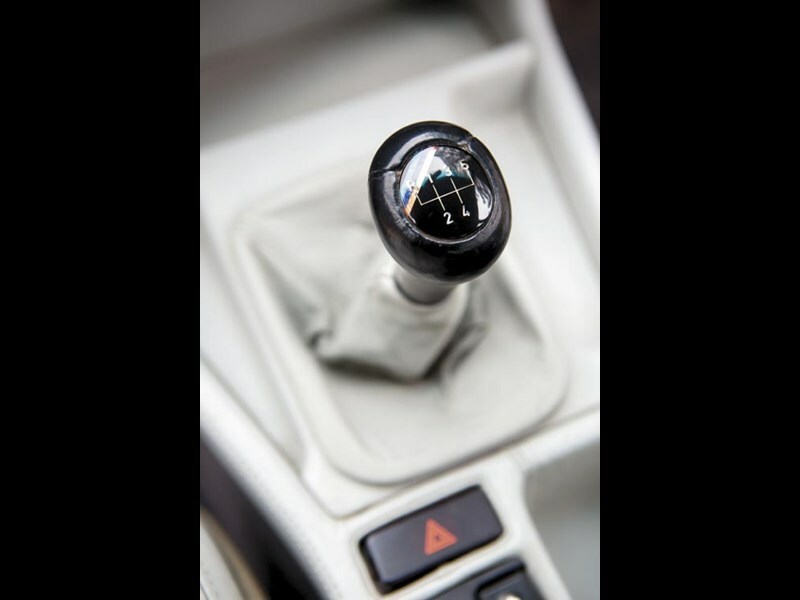 The gearshift is sweet and accurate and the brakes are so good you don’t even need to think about them at all. So I didn’t. Aside from it no longer being a ballistic car, the only downer for me was that it also felt a bit heavy and would be a right handful in really tight going. 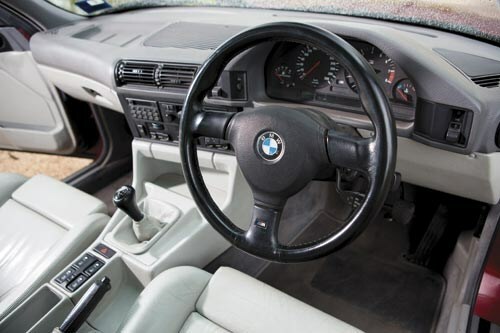 Oh, that and the fact that the interior of this car had gone the way of many BMW interiors from this era. The leather had sagged in places and the stitching was starting to fray. And, being a light colour, it looked a bit grubby in spots. But a quick tidy up inside, and you’d have a proper freeway eater. Which, after all, was always its A game. 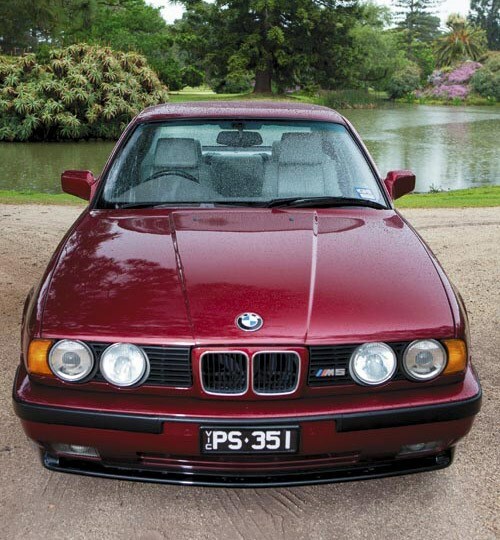 As the proprietor of Melbourne-based workshop Northern BM, Phillip Showers has "done nothing but work on BMWs since 1980". So you’d reckon he’d know a good car when he sees one. And clearly he does. Phillip first came across this particular car way back when it was all but brand-new and it was actually owned by a mate. Ultimately, matey decided it was time to sell and, since he knew every nut and bolt on the thing, Phillip stepped in and snapped it up. The only change from standard is the fitment of the later (series 2) alloy wheels and a step up to nine-inch items on the rear end. "I actually saw these cars being hand-built at the factory back in the day," Phillip told us. "I’ve always been passionate about motorsport, so this car is significant. 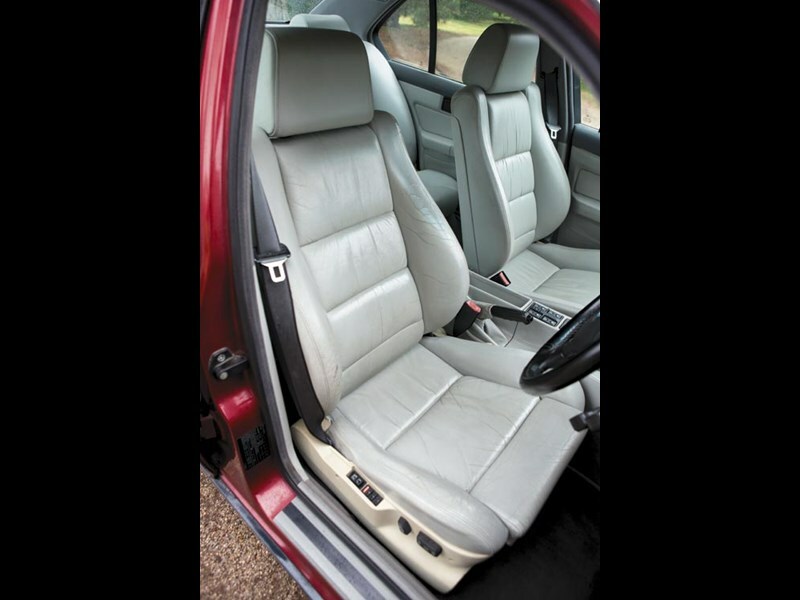 Plus, it’s a four-door which, when you have kids, makes a difference. It’s actually quite practical. Oh, and it’s a manual. I’m not old enough yet to drive an automatic." Couldn’t agree with you more, pal. 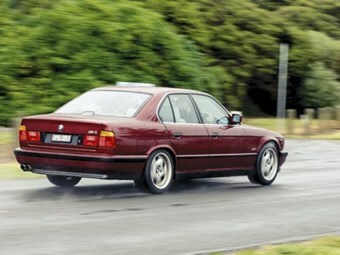 The E34 M5 is so understated that it’s difficult to tell it apart from its normal 525i brethren. I am not one for flares and stripes and I love flying under the radar, so that appeals to me. When starting the mighty straight six twin-cam four-valve engine with the separate throttle bodies, I immediately noticed I had a wolf in sheep’s clothing. 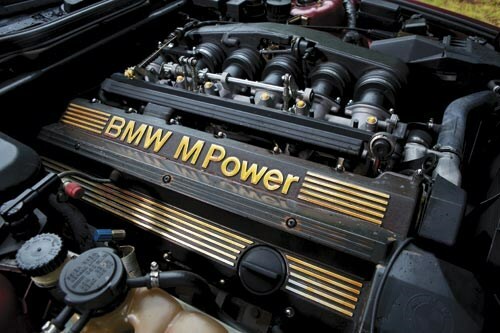 The engine has a real motorsport heritage, similar to the BMW M1 Procar raced by F1 drivers of the late ’70s. It’s fast, smooth and sophisticated, not to mention rare. The M5 handling is modern, the brakes reassuring and the trim and appointments luxurious. One of my most memorable driving trips in an M5 was back in 1992, just after the Shell Touring Car Championship at Winton Raceway. I’m pretty confident we covered the ground from Winton Raceway back to Melbourne Airport in record time in the delightful high-speed cruiser. Those days are long gone in Victoria. Would I buy one? The answer is a resounding ‘YES’. Back in 1990, 170 grand was a lot of money; in fact that’s still a lot of money. Yet, I reckon it’s BMW’s best ever car, crazy as that sounds! Summary: Maintenance costs ensure M5s have become scarce, yet excellent E34 survivors stay under $50,000. 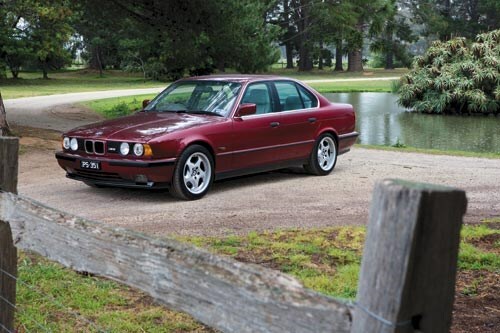 Australian-delivered cars with history are likely to appreciate and are worth the search. The first M5 I ever drove tried to kill me. Accelerating hard in fourth on the UK’s Millbrook proving ground high speed bowl, building to V-max, the accelerator mechanism across the top of the engine moved over-centre and jammed open. At 175km/h. Momentary panic, before reason took over and we coasted to a stop in neutral. Didn’t stop me from loving that first generation E28 M5 "the ultimate Q-car" – nor all of its successors, except the latest (normally-aspirated engine now forsaken after a series of brilliant six, eight and 10-cylinder M-units), wooden twin turbo. 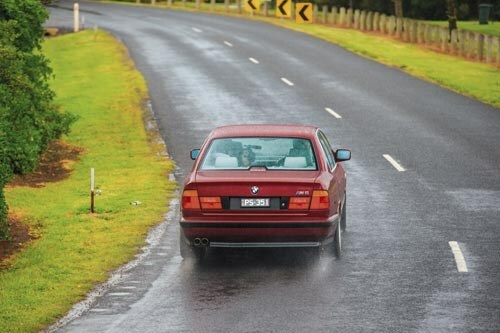 My next M5 experience, the 3.8-litre E34 – just like the one here – was responsible for one of my greatest drives. 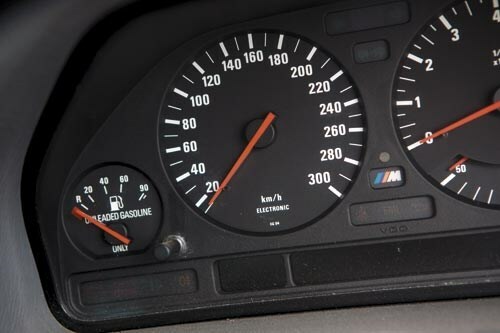 Returning the car to BMW’s HQ in Munich from my then home in northern Italy, the M5 took just one hour and 45 minutes to put 340kms on the odo before being slowed by the too often enforced Austrian 130km/h limit. I’ll leave you to work out the average speed. You should know that together on the terrific A22 Autostrada that runs from Modena to Austria up the Brenner Pass, we saw just over 7000rpm in fifth, the speedo indicating 260km/h, and returned 16.7l/100km. 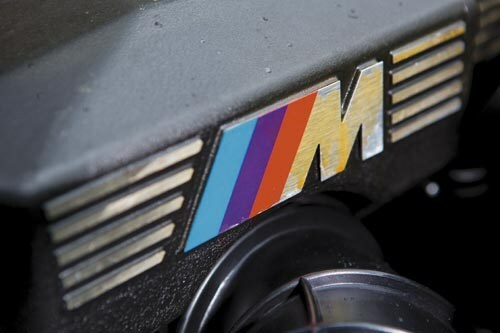 Based on the inline twin-cam six developed for the mid-engine 1978 BMW M1, by the time of the 3.8-litre it was making 250kW at 6900rpm and 400Nm at 4750rpm. "This engine doesn’t deliver one seamless burst of energy and boundless acceleration in the manner of the automatic-only 500E Mercedes," I wrote. "There are too many humps in the BMW’s torque curve for that, but the character of the engine, and its force, are undeniable. It feels faster even, much faster, than the old M5 and the figures prove as much." 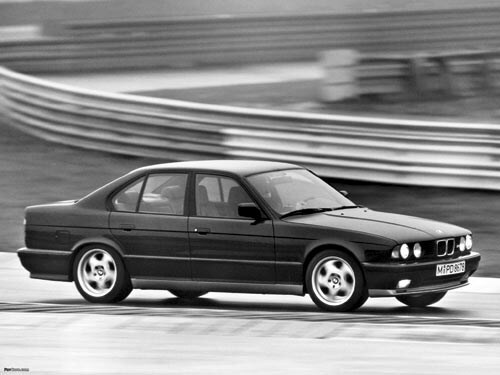 That E34 M5 cut the quarter mile in 14.1 seconds, a full second faster than the previous 3.5-litre car. Back then, BMW Motorsport offered the Nurburgring Package: wider tyres – "massive" 235/45ZR17s at the front and 255/40ZR17s at the rear – Servotronic steering, a thicker anti-roll bar and adaptive dampers. 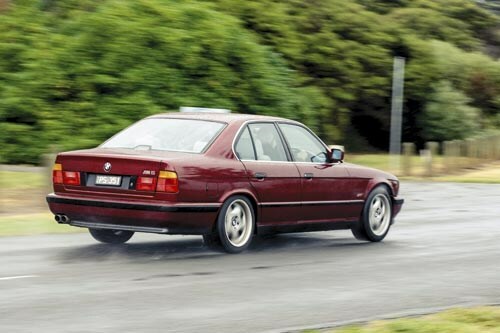 Apart from weak second gear synchromesh and less than flawless wet weather traction – remember, no traction control or stability control – it was almost impossible to fault the M5. In 1992, I called the 1650kg M5 "hefty", not knowing that by 2013 today’s car would tip the scales at an even more substantial 1870kg. "…the M5 punches holes in the traffic. Tight corners show up understeer and require discreet use of accelerator, but the M5 is alive, changing direction effortlessly, absorbing undulations in the road surface as if they don’t exist. It’s just bloody marvellous, an inspirational driving experience." I concluded, "The M5 is a great sedan. Perhaps the greatest. Its main appeal is that it needs to be told what to do. Then it instantly responds to commands and you know its overall prowess is more entertaining, and superior, to virtually every supercar you can buy… take it from me this is the world’s most complete sporting sedan, a car to savour and relish on those special journeys." Of all the cars here, it’s the M5 I’d most like to take home. The E39 M5 brought a 5.0-litre V8 engine with eight individual, 50mm diameter butterflies controlling the intake manifold tracts. With double Vanos variable valve timing it made 298kW at 6800rpm, and took just 13.4seconds to reach the quarter mile. No automatic, just a six-speed manual. Eight cylinders gave way to an all-new 5.0-litre V10 (twinned with the M3’s 4.0-litre V8) for the E60 M5, a first for M-Power division as it was then called. Limited to 8250rpm, the 373kW V10 produced a staggering 79kW over the V8. Normally-aspirated, of course. That car, spoiled as an all-rounder by a jerky, seven-speed, single clutch SMG gearbox, was at its fantastic best on challenging roads. Today’s 4.4-litre twin turbo V8 makes 412kW (560bhp) with torque of 680Nm arriving at 1500 rpm and continuing across a plateau to 5750rpm. Better economy and emissions, yet sounds like a contradiction of all that M-engines stood for across the four earlier generations.